Console Captains, we are happy to announce the date that you will all be able to play Star Trek Online’s Twelfth Season: Reckoning. 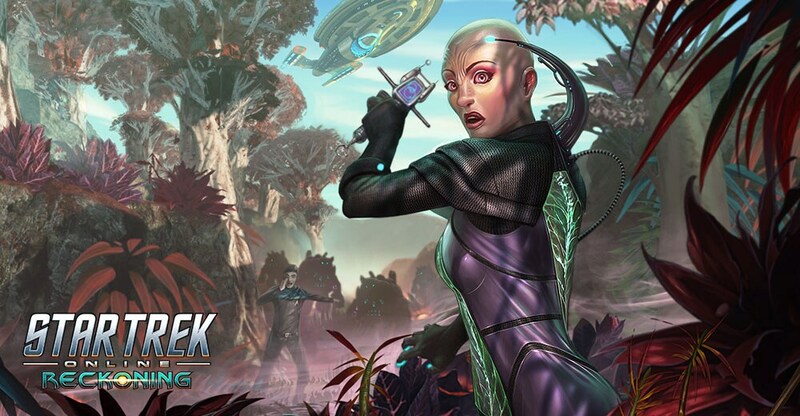 Launching on Xbox One and PlayStation®4 April 18, the new update sends players on a mission with the Lukari to investigate an ominous new threat, the dreaded Tzenkethi. The latest update to consoles grants captains access to content that was recently introduced on PC, including a new featured episode, crafting school, two Tzenkethi space queues and a full space battlezone. Get ready, Captains, because in less than a month you’ll have to test your mettle against the power of the Tzenkethi. Will you be ready?